How many times can a person's heart be broken? Apparently, too many times to count. As long as we allow ourselves to love, and as long as we allow ourselves to have heroes, we will have our hearts broken. 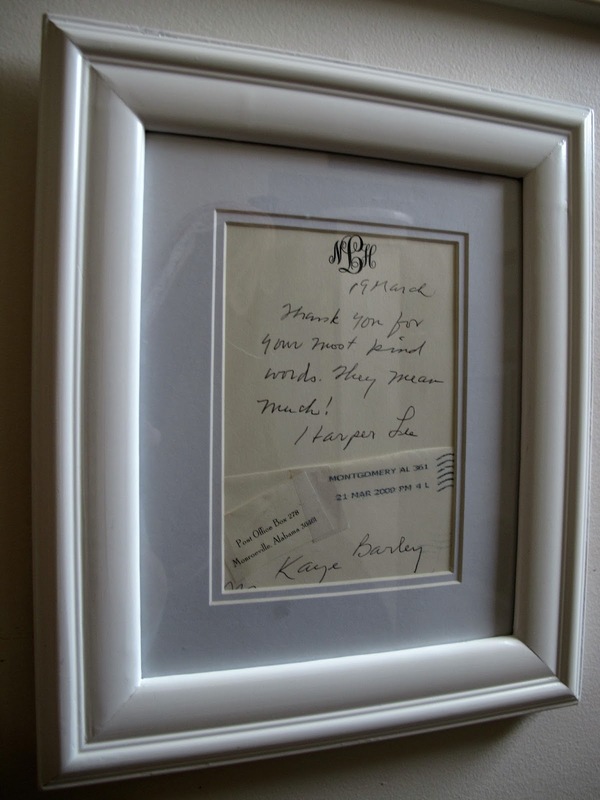 Harper Lee was a hero and an inspiration to many. 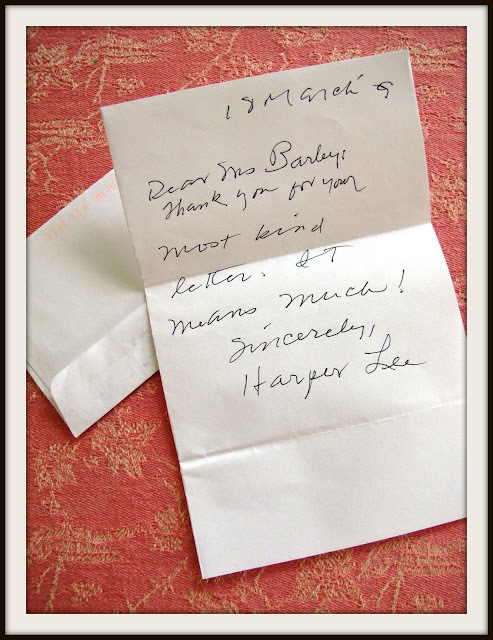 I wrote to Ms. Lee once. I just wanted to tell her how much I admired her and loved her work. Too often we are touched by people but fail to tell them. We think maybe they're too busy, or maybe they're quite famous, important people and we think of them only in that context - too busy, famous, important to hear from someone like me. Needless to say, I was stunned and over the moon happy when I received a note back from her. Actually, I received two notes. Both arrived on the same day. One on her personalized stationery, one not. Both saying pretty much the same thing. I wondered about the why, but finally just decided to forget about the why of two notes and enjoy the honor bestowed upon this not busy, not famous, unimportant gal who admired Nelle Harper Lee from afar. 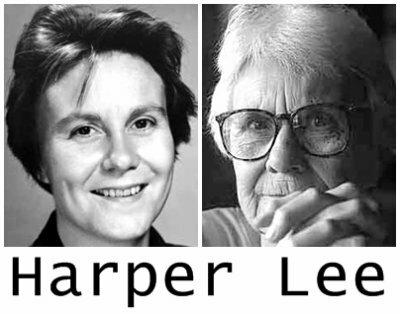 There will never be another Harper Lee. We were all blessed to have had her grace our lives.